The state-run National News Agency (NNA) said on Wednesday that it is committed to the strike called by the Association of Public Administration Employees in protest against the recent statements about a possible cut in public employees' salaries, pensions and social security. The agency said that it will only cover the news of the strikes and sit-ins that will be held in Beirut and across the Lebanese regions. 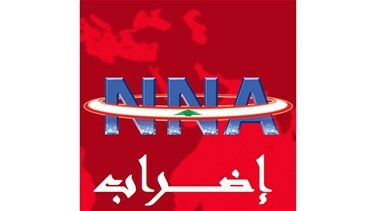 This as a sit-in was held at the Riad El-Soleh Square called by the Union Coordination Committee, the Association of Full-Time Professors at the Lebanese University and the Lebanese University contractors rejecting the possible cuts in salaries of public employees, teachers and retirees.